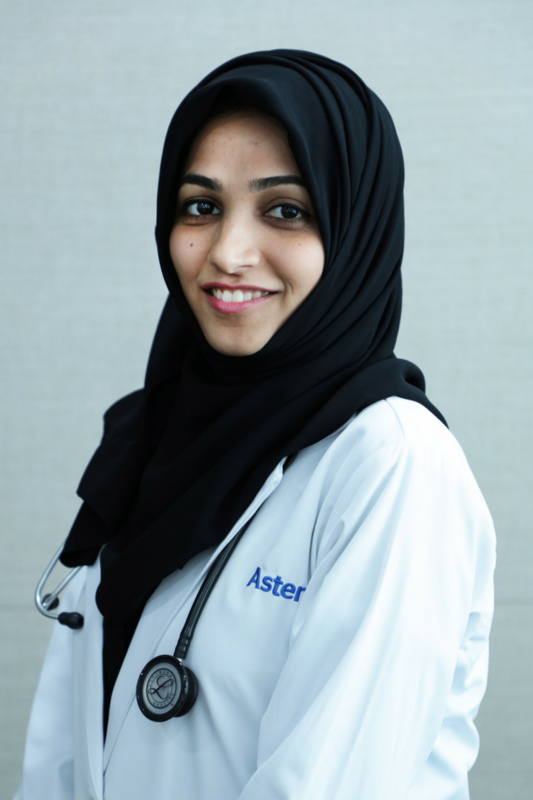 Dr. Bushra Aysha completed her MBBS in 2012 from the Hassan Institute of Medical Sciences [HIMS], Karnataka, India. Following that she completed a Rotatory internship at Sri Chamarajendra District Hospital, Karnataka, India. She began her medical practice as a Medical Officer taking up Rural Services in Primary Health Care Centers across Karnataka for a year. She topped up her clinical experience by serving as General Practitioner in Polyclinics and Nursing Homes in South India for another 2 years before moving to the UAE.